Can you believe another month has passed? I can’t believe I’m writing my May post (and it’s already June!). 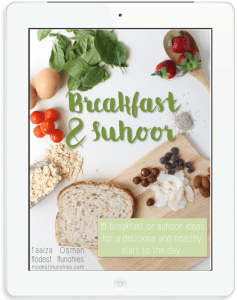 This time, I thought I’d combine some of my Ramadan favourites with my May ones as I’m sure you’re all still on the lookout for ideas for your kids or to make things easier during the month, so here they are. As usual, I’ve included affiliate links where necessary. These always features heavily don’t they? Well here are my May and Ramadan book picks. 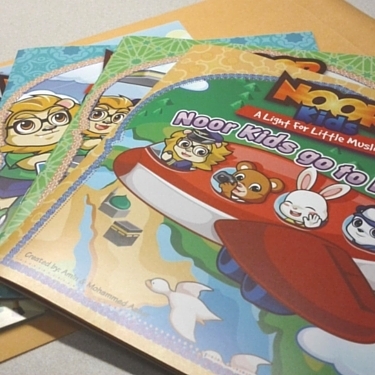 Noor Kids, I have good memories of this series, having purchased them two Ramadans ago for the kids. They were a great surprise, the books are fun and relatable and my now 5-year-old has enjoyed them ever since. He’s even trying to read them himself, Alhumdulillah. Their books cover a range of topics, there’s even the new ‘First time Fasting’, which I will have to get my hands on. There are so many great options for Ramadan books these days. Our Ramadan books are all laid out on our Ramadan table waiting to be read. Golden Domes and Silver Lanterns, Under the Ramadan Moon, My First Ramadan, Lailah’s Lunchbox, White Nights of Ramadan. 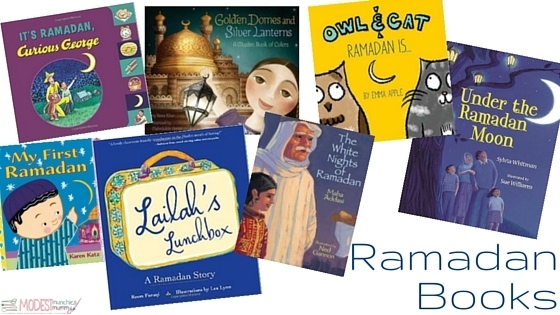 It’s Ramadan Curious George and Owl and Cat: Ramadan is… are the sweetest new Ramadan books I’ve come across. One with a cheeky little monkey and the other with the cutest owl and cat. Definite must haves in the Ramadan library. I was a bit worried this year, I’m usually so prepared, but it’s been so busy lately I haven’t had a chance to do much. Eventually, I did get a banner up and put some books out. 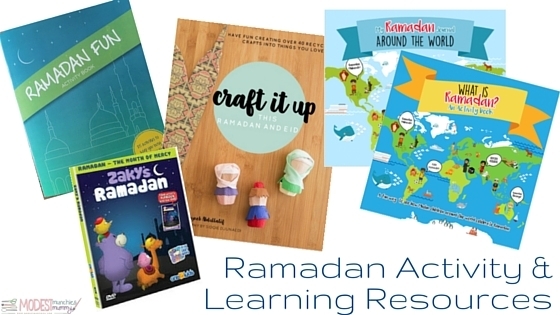 It’s not much, but Ramadan is about making things fun and I plan to do that through the month with these posts, books, and printables to help along the way. Bismillah Babies have just released Ramadan books (pictured: top right corner). One is an activity book and the other a journal. 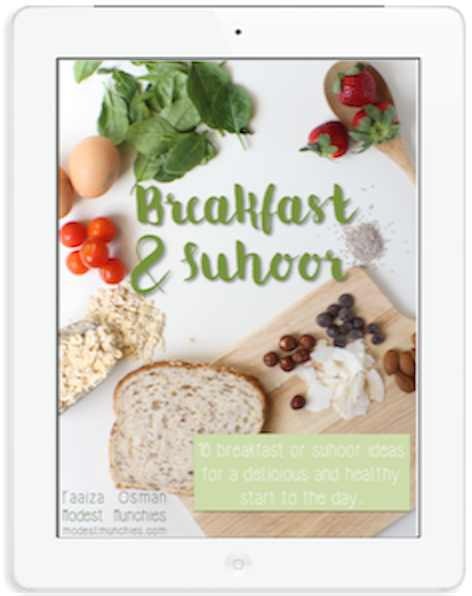 I had a chance to check them out and they are both great, filled with stories of Ramadan Around the World, fun activities, recipes and more. There has been an amazing effort put into these books, I’m sure they’ll be loved by so many kids. 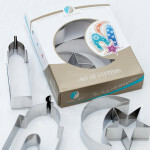 When the kids get board I’m definitely going to pull out these cutters for them to use with play dough or maybe even let them cut cookies. If I have some time I’d love to make cookies for my kids’ friends, it might make a perfect/Ramadan gift. Every year I tell myself to prepare, to plan better, to get things in order before Ramadan but that never happens. The year goes by and we’re back at the same point again. However, I’m not going to let that get me down. I’m going to do my best to prepare the best I can for the rest of the time I have. I’m going to print my meal planner printable so I can get on top of the food. I want to spend as little time as possible in the kitchen. This year I’ve also decided to start a few things, I’m going to be writing myself a few goals to achieve this month, as well as a dua and gratitude journal in shaa Allah. If you’re like me and you’re extremely forgetful, be sure to print the trackers in my Missed Fasts Post so you keep count of exactly how many you miss so you can make them up after. Those are my picks for May and Ramadan. What are yours?